Naturally we are attracted to what is beautiful. What makes something beautiful is what is harmonic and natural. Harmony is what makes something beautiful because it flows through life with little resistance. People confuse beauty with infatuation which is a attachment to an idea. These infatuations are fleeting and change as life goes on, thus it is not true beauty because beauty transcends time and will always be beautiful. 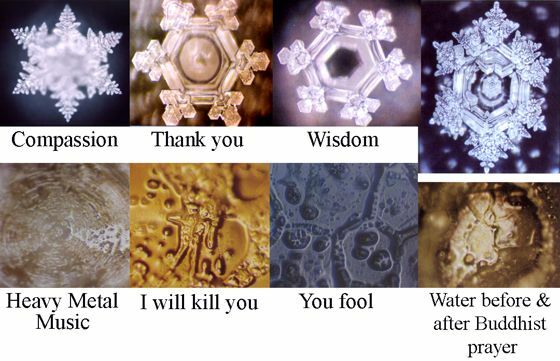 Dr. Masaru Emoto performed an experiment with water crystals that shows the beauty of harmony. his experiment consisted of storing water container, directing thoughts towards it and then freezing the water to see the patterns of the crystals. What he discovered was positive thoughts such as compassion, gratitude, wisdom and harmony created beautiful patterns. While thoughts of evil, heavy metals, I will kill you and you fool were very disharmonic patterns. When life is in harmony it forms symbiotic relationships across many ecosystems; the natural world is one extravagant balancing act and there exists no competition. 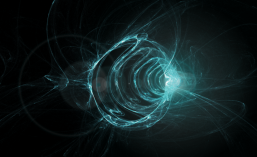 Everything simply performs a specific role in the ecosystem in order to maintain harmony. For example, we have the honey bees who form a symbiotic relationship with flowers. 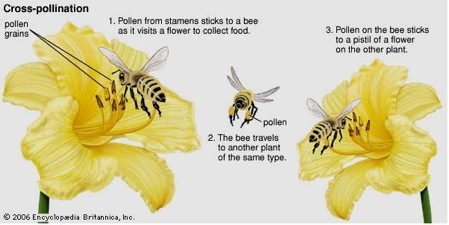 Pollen from the stamens sticks to a bee as it collects food from a flower; then the honey bee travels to another plant of the same type; pollen on the bee sticks to the pistil of a flower on the other plant, thus assisting reproduction. Inharmony on the other hand is very parasitic. Parasites will leach the life of their victim without consideration to their well-being. The most parasitic organism on this planet right now is, believe it or not, humans. We destroy our environment for greed and care not of its consequences. We’ve become blinded by our greed and desires that we cannot see the harm our actions are doing to ourselves and this planet. We’re on the brink of destroying our planet because of our desire for wealth and power. 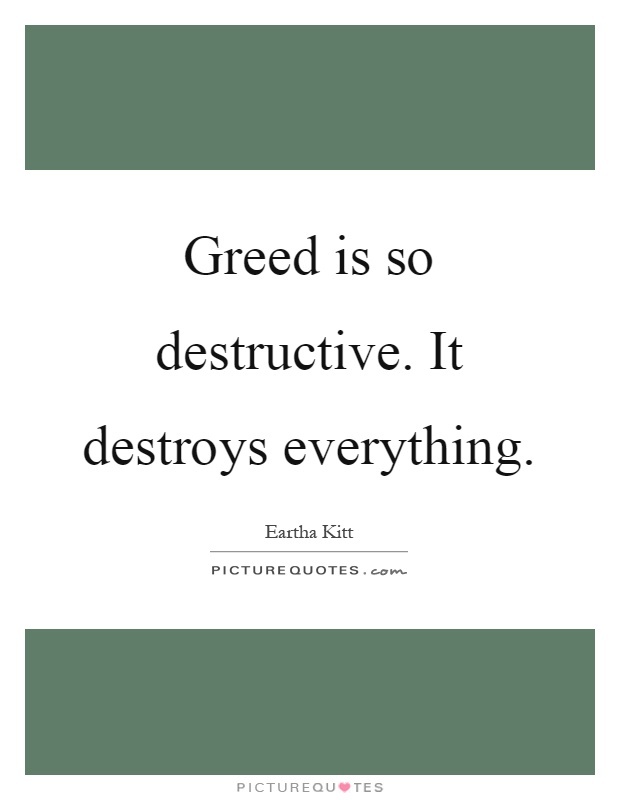 Humans are not born with greed ingrained into their consciousness, it is a learned behavior. When a child comes into this world he/she is pure and innocent. Slowly though society starts to influence us and we start to lose our way. We must become child like in order to realize that we humans have become very parasitic because of the collective psychosis we as a species have been experiencing for a great many years. We need to nurture the good qualities that are inherent in each human being. Kindness, Love, Compassion, Forgiveness, Understanding and Joy are needed more than ever. We must break away from the false paradigm, where our synthetic self equates our value and worth based upon wealth, fame and power. These are delusions of the mind and nothing else. They will never truly satisfy us. The best way to deal with this is to not respond to inharmony with inharmony. We as a people have become so egotistical that we respond against inharmony with more inharmony. If someone insults us, many of us insult them back. We get pulled into a tug of war contest and will keep going back and forth arguing over something that is so unimportant. Those who practice harmony don’t get sucked into these arguments or situations, they let them flow past them. 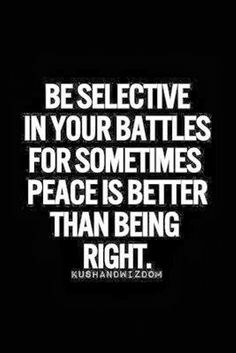 Peace is the only way to respond to inharmony. Inharmony breeds more inharmony. By responding to inharmony with inharmony, we make the situation more disharmonic. We must resist the urge to respond to inharmony with inharmony. That doesn’t mean you take what others say to heart, but instead extend compassion towards them and understand that they are who they are. Accept them for who they are and realize that what they believe and say has no impact on you. Many times we take what others say as offensive or hurtful because we’ve forgotten that it is ourselves who allow it to be. Someone can only offend or upset you if you believe they have the capacity to do so. It’s our belief that creates the circumstances for others to hurt us, but the truth is no one can hurt you unless you believe they can. It’s paramount for our wellbeing that we stop giving our power away to others and take responsibility for our own lives. We have the power to decide that others cannot hurt us. Inharmony is the reason for all the suffering in our lives and on this world. When we are truly in harmony every moment is a gift and all events regardless of whether preferred or not are embraced. Preferability is a desire, desires are what cause pain and suffering in the first place. When we work towards removing desires from our life it will become more harmonic as a result. This doesn’t imply that you purge all desires from your life, Only the ones that are based upon the temporal state of existence; such as power, greed and lust. Some healthy desires are to be one with our creator, to be our real self and to serve others. These are harmonic desires that will better our lives. Work towards harmony, don’t respond to disharmony with disharmony, but instead let your heart shine.